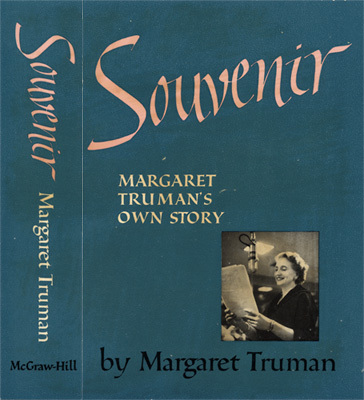 Truman, Margaret, with Margaret Cousins. Souvenir: Margaret Truman’s Own Story. New York: McGraw-Hill, . 365 p., 22 cm. Dust jacket design.